Can One Man Ever Forget? Will One Family Ever Forgive? In this tender yet haunting story, filmmakers Dan Klores and Ron Berger capture a provocative saga of love, violence and redemption. New York City, March 24, 1962: Rival boxing champions Emile Griffith and Benny "Kid" Paret entered the ring for their feverishly anticipated world title bout. Earlier, Paret had taunted his allegedly homosexual opponent with a shocking slur. That night, as millions of fans watched the fight on live television, Griffith brutally beat Paret to death. The sport of boxing, the life of Emile Griffith, and the innocence of America would be changed forever. Through startling archival footage and revealing new interviews with journalists, historians, champion boxers, Paret's widow, and Griffith himself, experience the Sundance sensation that begins with one tragic night nearly 45 years ago whose impact is still being felt today. In today�s environment, nobody thinks twice about professional athletes who commit crimes or do other questionable activities. The sports world has become so permeated by those problems that they barely make a blip anymore. Only one taboo remains in that universe: homosexuality. Rumors about gay athletes abound but no one in team sports has been willing to come out of the closet while still on the field. Given the growing acceptance of gays in popular culture, the fact that even now sports frowns on homosexuals gives us a hint at how incredibly taboo that concept would have been 40 years ago. Back in a period when gays had virtually no public profile or acceptance, the notion of a homosexual athlete was unthinkable, especially one who engaged in the �manly art� of boxing. But that topic receives attention in a documentary called Ring of Fire. The film looks at boxer Emile Griffith, with a particular emphasis on his March 24, 1962 bout with Benny Paret. Why does it focus on that match? Because Paret died due to injuries he incurred at Griffith�s hands, and some believe that Griffith attacked Paret with particular aggressiveness because Benny called Emile a homosexual. 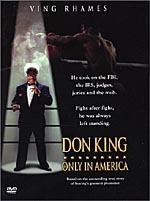 At the start of the film, it sets up the atmosphere of 1962 and that era�s New York City along with boxing in that period. We follow Griffith�s entry into boxing, his training and management, and his success. We also learn about Griffith�s family and upbringing. From there Fire looks at Paret�s life and career before it digs into their confrontations. We watch their first two fights and how they led into the tragic third bout. The movie covers Paret�s taunts as well as issues connected to Griffith�s sexuality. After Paret�s death, we learn about its effects on boxing and the lives of those involved. The movie continues with information about Griffith�s continued life and career. Some notes about Paret�s family appears as well as the state of boxing, but Griffith remains the main focus. A wide variety of participants appear. 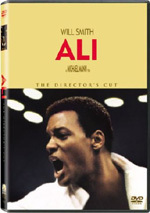 We get interviews with Emile Griffith, journalists Pete Hamill, Jack Newfield and Jimmy Breslin, news columnist Juan Gonzalez, Emile�s manager Howie Albert, Emile�s trainer Gil Clancy, reporter Bill Gallo, biographer Ron Ross, historians Neal Gabler and Hank Kaplan, Emile�s brother Franklin Griffith, former welterweight champion Carmen Basilio, Benny�s widow Lucy Paret, referee Joe Cortez, former light heavyweight champion Jose Torres, Gay Metropolis author Charles Kaiser, referee�s son Herb Goldstein, boxer Gaspar Ortega, son Benny Paret Jr., Emile�s ex-wife Sadie, Emile�s adopted son Luis Rodrigo, and featherweight champion Juan LaPorte. Fire presents a basic, logical look at events. While never tedious, it manages to view the era and incidents in a concise and coherent manner. That may not sound like great praise, but given that I�ve seen plenty of documentaries that can�t provide a crisp narrative, it goes down as an accomplishment, especially since Fire tries to balance a number of different stories. Probably the best parts of Fire concentrate on the Griffith/Paret fights. Plenty of excellent footage appears, and the movie covers these with depth and concision. We get a full picture of what happened so we can try to make decisions for ourselves. The film features a fairly objective perspective, which is usually good but occasionally causes some problems. For the most part, I like the lack of heavy editorializing, but I must admit I�d have liked a little more of a slant on Griffith�s possible homosexuality. Fire flirts with the topic and dances around it, but it never really engages it. Given the subject�s prominence in the story, I think it needs more attention. I don�t want the filmmakers to decide for me, but stronger viewpoints from various participants would have been helpful. One could argue the issue is somewhat irrelevant, and to a degree, they�re correct; I don�t really care if Griffith is gay in the abstract. But since some feel his feelings about the issue may have provoked his assault on Paret, the subject becomes more significant, and the documentary needs to address it more fully. Except for that minor slip, though, Ring of Fire proves to be consistently engaging and informative. It covers most related issues well and gives us a well-rounded picture of events. This turns out to be a tight little look at a tragedy. 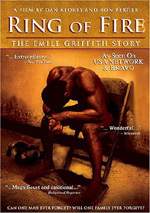 Ring of Fire appears in an aspect ratio of approximately 1.78:1 on this single-sided, double-layered DVD; the image has been enhanced for 16X9 televisions. Given its mix of modern footage and archival clips, the quality of Fire varied quite a lot, but it seemed satisfactory. As always, I have to divide my comments along those two lines. On the positive side, the new interview segments almost always looked great. Apparently shot on digital video, these pieces showed excellent sharpness and lacked any noticeable flaws. Colors were natural and bright, and the snippets seemed vivid and well-defined. The only minor exceptions came from shots of author Charles Kaiser, as his pieces were a little fuzzy. Otherwise, the interviews offered terrific images. Inevitably, most of the archival footage looked pretty bad, especially when we saw clips from the early Sixties. Those black and whites shots tended to be riddled with flaws and varied in definition depending on the source. Videotapes were very soft, while film clips were crisper but suffered from more defects. As the years passed, the material looked better; some color shots from a 1967 fight offered pretty decent visuals. Unfortunately, most of the archival action took place before that time, which meant the majority were unattractive. Again, the poor quality of this footage was unavoidable, and it didn�t distract from the show. At no point did the archival materials surpass my expectations, but they didn�t fall below the anticipated level of quality either. Combined with the very nice visuals of the interviews, Fire was above average for this sort of program. Nothing special emerged from the Dolby Stereo 2.0 soundtrack of Ring of Fire, but I can�t say that surprised me. Most documentaries don�t lend themselves to vivid soundfields, and Fire was no exception to that rule. Music showed decent stereo imaging, but not much else emerged from the sides. I noticed occasional ambient effects from the left and right and that was it. The material focused heavily on the center. Quality was positive. Speech consistently sounded natural and crisp, and I noticed no issues with intelligibility or edginess. Music was similarly full and accurate, with no problems on display. Effects depended on the source material, especially since many of them came from archival footage. They sounded perfectly fine given those constraints. Besides, Fire didn�t focus on those elements anyway. The music and especially dialogue were the most important aspects of the track, and the audio depicted those well. When we look at the DVD�s extras, the main attraction comes from an audio commentary with directors Dan Klores and Ron Berger. Both sit together for a running, screen-specific discussion. They go over the movie�s storytelling structure and themes as well as interviewing the participants, editing, pacing, and other specifics. They provide a reasonably tight look at their film, and their chat helps flesh out various topics. We get a nice look behind the scenes with some details about what they did � and didn�t � depict onscreen. The disc also features 12 Outtakes. Viewed together, these run a total of 16 minutes and 52 seconds. We hear from Emile�s brother Franklin Griffith, his ex-wife Sadie Griffith, his daughter Christine Griffith, his adopted son Luis Rodrigo, his manager Howie Albert, former boxer Jose Torres, and writer Budd Schulberg. There�s not a lot of gold here, unfortunately. Family relationships take the focus and Franklin comes across poorly. Rodrigo also tells an odd story about whether or not Emile wears women�s underwear. The clips are worth a look once but don�t expect much that seems terribly interesting. Despite a few missteps, Ring of Fire usually offers a satisfying look at some controversial events. We get a good look at the folks involved and what happened with them in this efficient and tight documentary. The DVD provides reasonably good picture and audio along with some decent extras. This disc would make for a good rental.